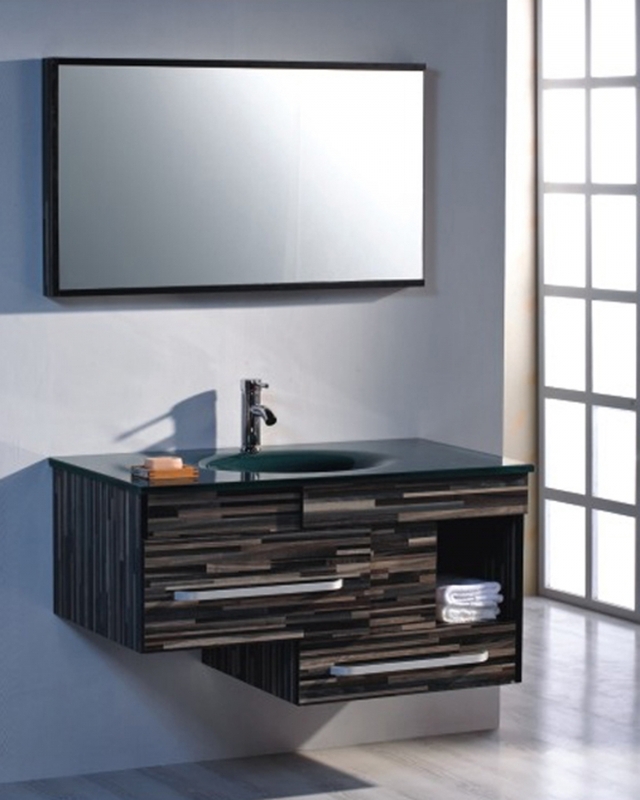 Multitone brown hardwood sets the stage for this multi-level wall mount single sink vanity. 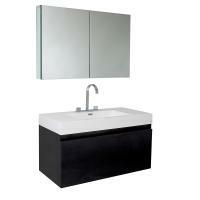 Tempered glass and an integrated sink finish off the top while two stacked drawers and a shelf fill the space below. Great! 5 stars for sure! Thank you for the great help and all the follow up. I will buy and recommend to all my friends. Thanks. 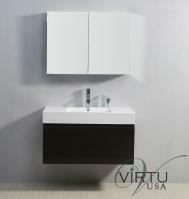 The quality of the vanity and the service was wonderful. I am very happy with this vanity.